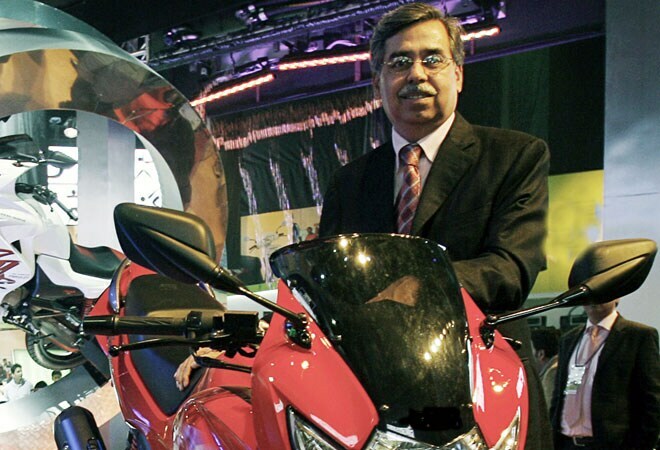 Pawan Munjal has been appointed as two-wheeler major Hero MotoCorp's new chairman. Brijmohan Lall has been appointed as the chairman emeritus and will continue to be part of the company's board as a non-executive director. According to the company, its' board of directors unanimously approved Munjal's appointment who was holding positions such as vice chairman, managing director and chief executive. Munjal was elevated as vice chairman in August last year. "Under the leadership of Munjal, Hero has remained the world's largest two-wheeler manufacturer in terms of unit volumes sold in a calendar year by a single company since 2001 - the year he took over as the managing director and chief executive," the company said in a statement. Currently, Hero MotoCorp commands well over 50 percent share in the domestic motorcycle market in India. The company sold a record 6.63 million units of two-wheelers in the financial year 2015.